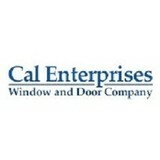 At Custom Exteriors, we started by providing and installing industry leading window and door products. Since then, we have expanded to provide siding installation and complete home performance services, including attic insulation, HVAC and solar installation. Custom Exteriors hires only experienced, professional and licensed sales and design staff. For 20 years, we’ve been bringing the best quality, value and service to homeowners in the greater San Francisco Bay Area. Since our start, we’ve completed over 17,000 home improvement projects, making our local area more comfortable, beautiful and valuable with new windows, doors, siding and home performance solutions. Whether you’re building a new Richmond home, remodeling an old one or just replacing a few windows that are past their prime, your window dealer in Richmond, CA will help you pick the right windows for your needs, home style and budget. Windows come in so many sizes and types that expert advice and direction is invaluable in helping you make the best decision. These pros can also help you with custom window designs that complement your space better than something ready-made. Lastly, if you are interested in doors with windows, these experts are also knowledgeable about sliding doors, French doors and other paned portals. Find a window dealer on Houzz. 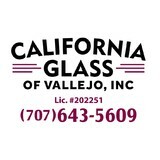 Narrow your search in the Professionals section of the website to Richmond, CA window dealers. 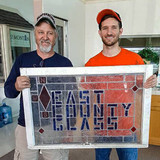 You can also look through Richmond, CA photos to find examples of windows that you like, then contact the window professional who worked on them.